While the hubs and I were roaming around Niagara Falls we stumbled upon this spectacular place inside this little shopping center attached to the casino. The only reason I am giving The Pepper Place a shout-out is because the owner, Chris Horton, went above and beyond his job as an owner to spend some time chit-chatting with us and anyone who knows my husband knows he will talk your face off if you let him. You also know he will sample every hot sauce you have available. Chris was a lot of fun to talk to and while my husband did indeed talk his face off, I spent my time seeking out the fun bottle labels. Growing up in the south, I’m no stranger to the heat so it was really cool to see a store like this. We spent quite a bit of time in there. When grandparents brought in their crew and one of them decided they wanted to eat the hottest (most likely to show he could – and sit on the toilet all night) the grandpa and grandma couldn’t agree and Chris politely suggested against started with the hottest. Having worked in retail for many years before getting in accounting, I can say he handled the situation very well. Also, when waivers are sitting around for the hottest of the bunch, perhaps the owner does know best when it comes to 8 and 9 year-old kids. I’m big on customer service. It’s very important to me and when I find someone who really stands out in the crowd I like to let people know about it. If you like hot sauce check out the Pepper Palace. They DO have USA locations. If you are in Niagara Falls go say hi to Chris. I tried many things I liked. My husband did, too. With each of us having different tastes it can be hard to decide on just two. I really wanted a “Made in Canada” product that I could create a recipe for here at YUM. 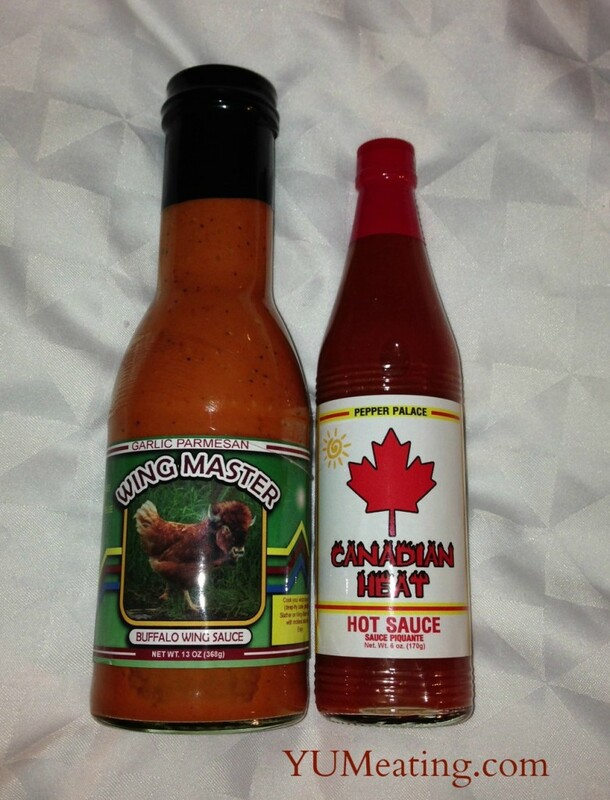 So we finally narrowed it down to Canadian Heat (my pick) and Garlic Parmesan Wingmaster (his pick). 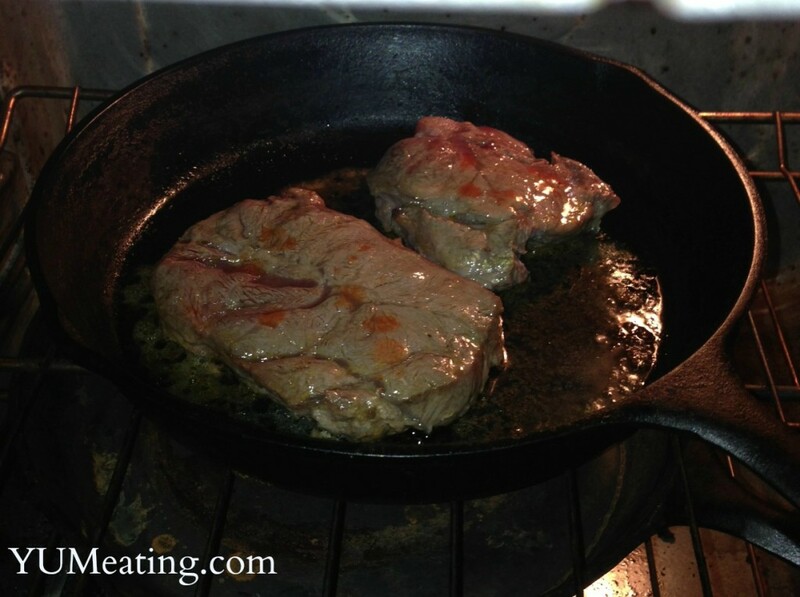 Here is a sneak peek of the first recipe created with the Canadian Heat. Cooked it in Chipotle Olive Oil. Keep your eyes open. You are going to love it! 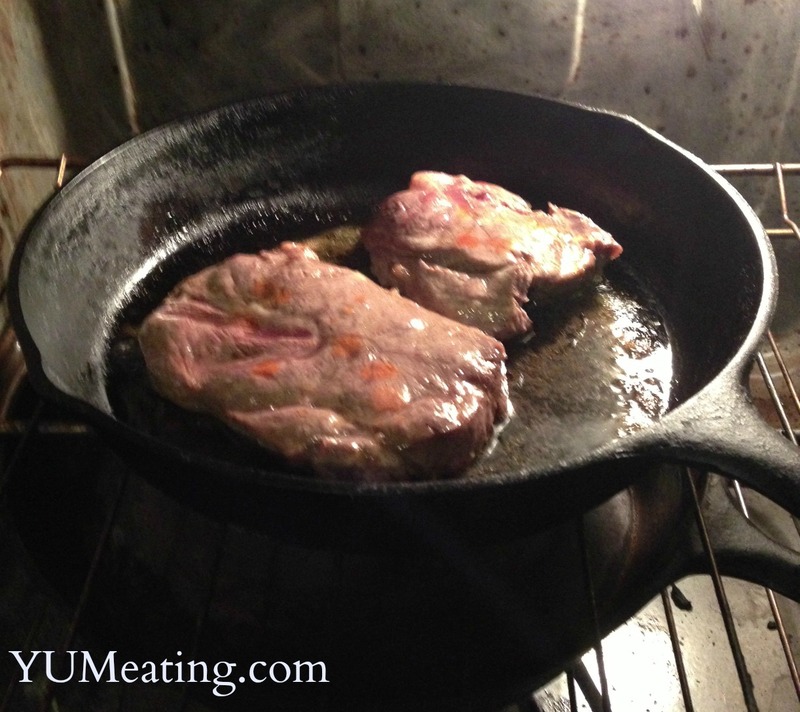 If you can’t stand it any longer – check out Cast Iron Skillet ‘Canadian Heat’ Steak! MMmm… that steak looks reallly good. How did this turn out? Pretty hot and yummy. The recipe will appear tomorrow!